This book was not what I was expecting. I was really in the mood for a high fantasy and I’d heard tons of people compare this book to Graceling by Kristin Carshore. In my opinion the two were not similar at all. I think my biggest sticking point in this book wasn’t the setting, or the plot but the characters themselves. I just didn’t care about Elisa and not caring about a main character is the kiss of death for a book. Elisa is a princess and the book begins at her wedding to a distant King whose country is on the brink of war. Elisa describes herself as fat, and throughout the book I think we are meant to believe this is a character flaw. She is not confident in herself, and despite being the bearer of the Godstone a gift that comes about only once every four generations she does not see herself as being worthy or able to do anything. I do not like self deprecating heroines and for the first half of the book Elisa did not take control of her life or strive to be anything but the “fat princess”. It wasn’t until she was force marched across the desert and began losing weight that she thought herself worthy and began to do something with her life. This disappointed me. I wanted Elisa to be confident in herself regardless of her size, the fact that she couldn’t be secure in herself left a bad taste in my mouth the rest of the novel. I also had a hard time relating to the other characters in the novel. Elisa is so quick to accept her captivity and those that are responsible for it. I thought this was incredibly unrealistic, eor she had the quickest form of Stockholm syndrome ever recorded? Either way she was quick to forgive these characters but I wasn’t. I wanted her to grow a backbone, learn to say no, and fight for her own path. I also wish someone would have warned me about all the religious undertones and themes in this book. I am not a very religious person and so the inclusion of religion needs to be tastefully done for me to appreciate it in the story. Glamorous Illusion by Lisa T. Bergren was an example of a novel with religious themes that was very well done and I enjoyed. 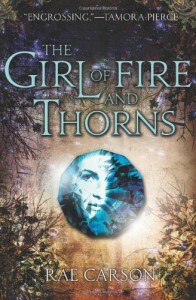 In The Girl of Fire and Thorns there was just too much religion not enough plot. I felt that everything mystical was explained by praying even the Godstone was activated by praying really *extra* hard. Overall, this just wasn’t the book for me. 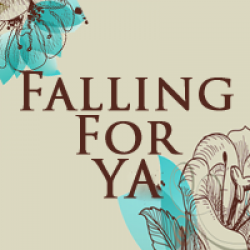 I wanted so much to enjoy it but there were just too many little things that bothered me for me to really love this novel and I have no plans to pick up the sequel.